I pull the helmet from my from my head and place it under my right arm which vibrates dramatically. My eyes look down a road covered in washboard from ditch to ditch and I wipe a trail of mud – the result of dirt and sweat – which has begun to run down my cheek. I didn’t expect today to go like this. The maps I’ve looked at all make the road from Tamale to Mole National Park seem very ride-able and no road yet in Ghana has proved otherwise. But this is tough. 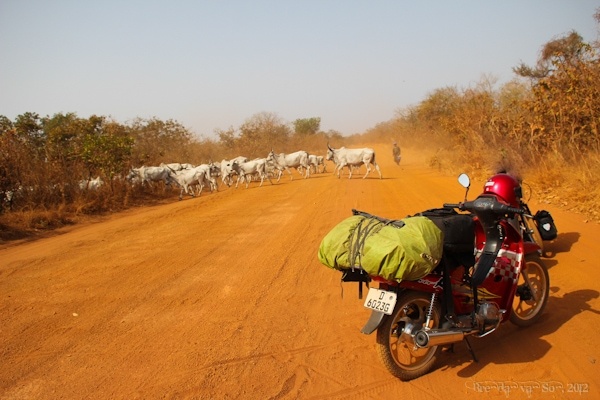 Unlike the roads through rural Burkina Faso which were filled with holes and sections of sand, this dirt road is hard packed but lined with unrelenting waves of bumps. It’s the type of road that makes you long for potholes and mud. The vibration of the path has worn on my mood, my body and even of Anne Murray who has caught a serious cold, and is now surging along sporadically as if she is gasping for air or fuel. Anne Murray waiting for a cattle crossing. I arrive at a small village and speak to a mechanic who can’t fix her but assures me that there will be someone at Mole National Park that can. He also tells me that the road will improve soon. I’m not so sure I believe either tale. I slog along in pain and can feel the struggle of the journey weighing heavily on my spirits. Was this ride really worth it? I just saw elephants the other day in Ranch de Nazinga, do I really need to wear myself out to see these ones too? But as is so often the case, a rough journey is rewarded with a gentle reminder of how wonderful the world is if you make the effort to get out an explore it. 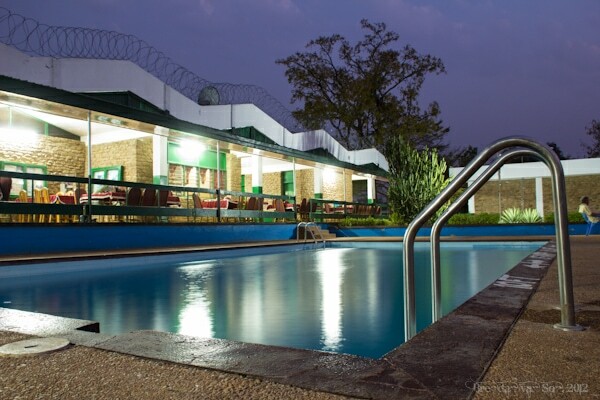 The gates of Mole National Park stand tall with paintings of elephants, warthogs and baboons and as I wander on to the grounds of the Mole Motel – covered in dirt and smelling of sheer death – I immediately realize that this is somewhere special. This is a place where people and wildlife stand together in peace. A place where we are only guests and the wildlife makes sure to remind us of that fact from time to time. 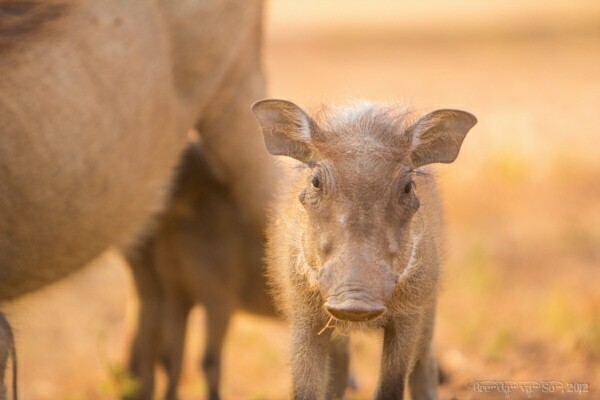 A baby warthog looking at me cautiously. The motel stands on the edge of a cliff looking down at a savanna puddled by waterholes, spotted by trees, and wandered by wildlife. Along side the pool, guests giggle as a family of warthogs waddles by while nibbling on the products of the dusty floor. In the trees, a troop of green vervet monkeys gather fruit and dance from limb to limb. Along the cliff’s edge, a couple young male bush buck graze on the grasses and shrubs. And down on the flats below, the trunked star of the national park takes a drink from the waterhole completely visible to their human counterparts tanning by the pool. After a swim in the pool’s cool waters, which I’m told are occasionally drunk by the park’s friendliest of elephants, and a good night’s sleep, the rough road behind me couldn’t be further from my mind. We set out on foot, camera’s in hand and track the steps of elephants and the other animals which find refuge in this beautiful terrain. 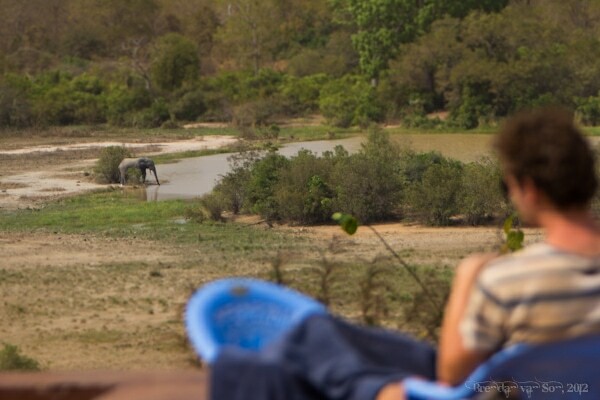 Ahead, the harsh shake of a bush in the distance signals the presence of the world’s largest land mammal. 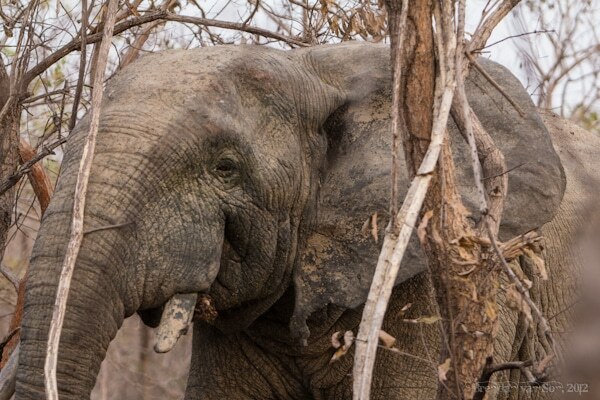 An elephant hides out among the trees and seems almost completely camouflaged as I stand in awe of how something of that size could hide itself so well. 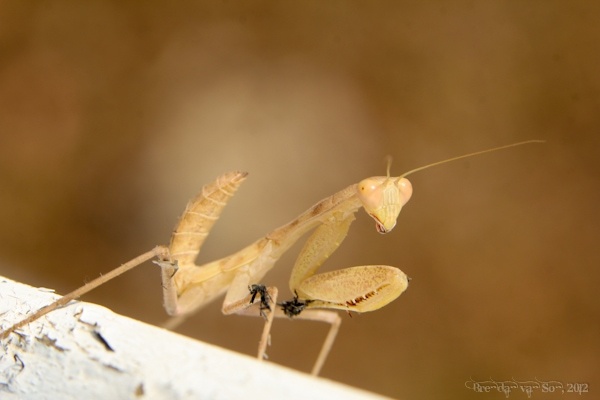 We stand a mere 5 meters from this great animal and watch cautiously as it eats and swats bugs from its side. The elephant has one full tusk and another which has perhaps been broken off while digging or maybe destroyed in a battle with a rival male. It is such a beautiful creature, and he never takes his eyes of us, and nor do we take ours off of him. This is easily the closest I’ve ever been to a wild elephant, and I’m sure that there are few places in the world that you could get this close to a full-sized male African savanna elephant and live to tell about it. 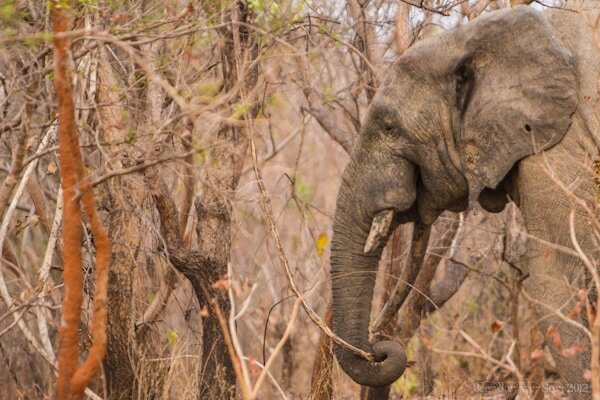 But here in Mole National Park it seems that there is an understanding between humans and the wild. It is as if the wild animals understand that the people are protecting their wildness and the people understand that the presence of the wildlife creates an income source for them as well. The admiration of the animals is obvious among the guides at the park, and the respect for the wild seems strong as well. As my now cured Anne Murray again hits the rough roads of northern Ghana, I can’t help but feel invigorated by my experience in the park. No matter how amazing your life, and its journey, is sometimes you need some bumps in the road to fully appreciate the jewel at the end of your trail. Brendan these are great shot the crazy bug is my fav! Great blog entry! I have only been to Mole once, back in 2008. I am spending three months in Ghana this summer and this is tipping the balance in favour of making the epic trip up there. Look forward to more entries. I stumbled across your blog and was so happy to see these familiar places…and your experience on the ride up was (not surprisingly) the same. Great pictures! I was at Mole last August, I’ll be following your adventures! These pictures are surreal! I hope to have an experience in Africa when I debate if it’s worth seeing elephants. Glad you’re on the road again safe! Great pictures! 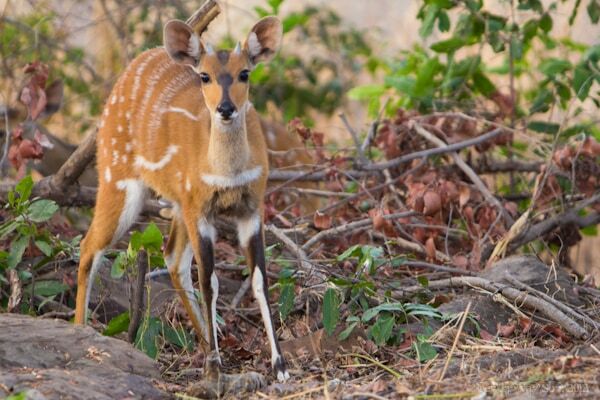 I love your day out experience with wildlife creatures, you place your words beautifully.